...ist’s death effected reconciliation between God and men (chapter 6). ...fact that Christ’s death effected reconciliation between God and men (chapter 6). ...fe, we are properly reflecting His image in the world. Even when we obey His commandments out of love for God and our own duty, we should recognize that it is actually God who gives us the ability and willingness to obey. It does not come from our flesh. It is the Lord who works in His to do His pleasure. See for more particular sections of chapter 7, chapter 9, Chapter 10, chapter 13, chapter 16. For more see Richard C. Barcellos, How the “uses of the law . . . sweetly comply with . . . the grace of the Gospel” (2LCF 19.7). The end of the matter; all has been heard. ^ William D. Mounce. Physis. a, b, c, d, e, f, g, h, i, j, k, l, m Albert Barnes. Barnes' New Testament Notes. Taken from the TheWord Bible Software. In loc. a, b, c, d, e, f, g, h, i, j, k, l, m, n John Calvin. Commentaries. Taken from the TheWord Bible Software. In loc. a, b, c, d, e John Gill. Exposition of the Entire Bible. Taken from the TheWord Bible Software. In loc. ^ Philip S. Ross. From the Finger of God: The Biblical and Theological Basis for the Threefold Division of the Law. (Fearn, Ross-shire, Scotland: Christian Focus, 2010). pp. 114-115. ^ Ibid. p. 282, note 65.
a, b, c, d, e, f, g, h, i, j, k, l, m The Westminster Larger Catechism. a, b, c Thomas Watson, The Ten Commandments. Chapter 1.3.
a, b, c Watson, Ten Commandments. Chapter 2.1.
a, b Robert L. Dabney. Systematic Theology. Chapter 31.
a, b, c, d, e, f, g, h, i, j Benjamin Keach. The Baptist Catechism. a, b Watson, Ten Commandments. Chapter 2.2. ^ Thomas Vincent. A Family Instructional Guide. ^ Pastor Joe V. Why Did John Calvin and the Reformers Forbid All Images of the Divine Persons? ^ The Holy Bible: English Standard Version: The ESV Study Bible. Wheaton, IL: Crossway Bibles (2008). 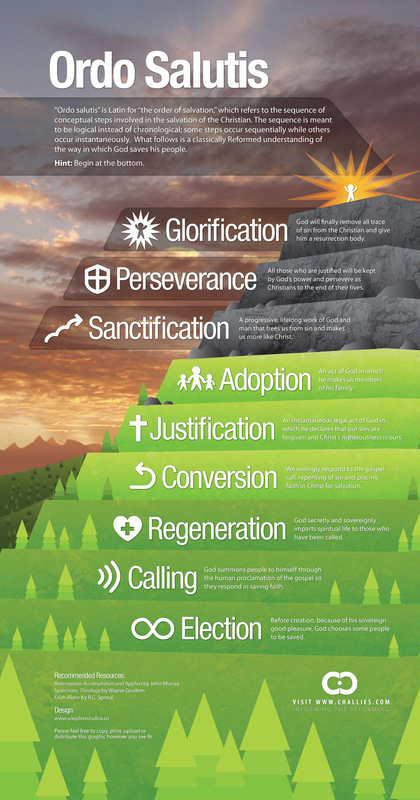 Taken from the Online Version at www.esvbible.org. in loc. a, b Watson, Ten Commandments. Chapter 2.3. ^ I will at least be reading the 4 perspectives book on the Sabbath, Robert Paul Martin's new book on the Christian Sabbath, Joseph A. Pipa's The Lord Day, various writings from Dabney on the Sabbath, Jonathan Edwards and I hope also to read some from A.W. Pink and Owen. a, b, c Watson, Ten Commandments. Chapter 2.4. ^ Noah Webster. Webster's Dictionary 1828. Murder. ^ Noah Webster. Webster's 1913 Dictionary. Kill. ^ J. Warner Wallace. The Difference Between Killing and Murdering. a, b Dabney, Systematic Theology. Chapter 32.
a, b Watson, Ten Commandments. Chapter 2.6. In the intermediate state and the new heavens and earth we will be endowed with the non posse peccare (no ability to sin). We will be truly free. We will truly only desire and do that which is pleasing to God. No more sorrow, no more sin, but endlessly glorifying God.